Most people in the gym have been raised to believe you need to lift heavy to gain muscle size and strength. This is the reasoning being 1Rm’s and 6-10 reps per set. The problem is the heavier the weight, the bigger the chance of injury. Secondly, the older we get the more difficult it gets to lift heavy during exercise. We want to keep everyone in the gym healthy and mobile at all times. And of course added strength as we get older is beneficial because it makes activities of daily living that much easier. This leads me to a new study done at McMaster’s University. 25+ rep program at 30% of 1 Rm. The important thing to notes is exercises should be performed till failure. By performing exercises till failure using either 90% or 30% of 1 Rm you are still recruiting maximum muscle fibers by the end of the set. This will allow for a safe and effective training program at any age. 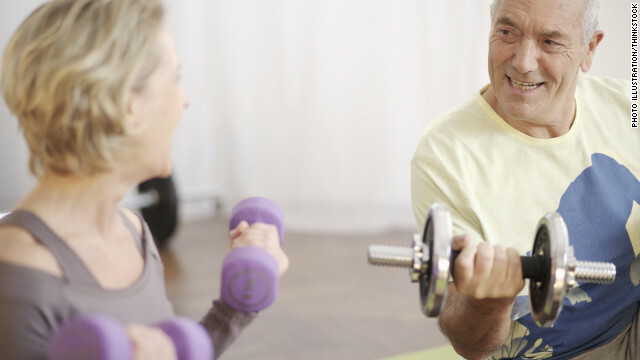 This will prove most beneficial for seniors, but can still benefit the average Joe who just doesn’t want to lift heavy. Just remember effort is very important when looking to see results. For your reference please click below for the article mentioned above.